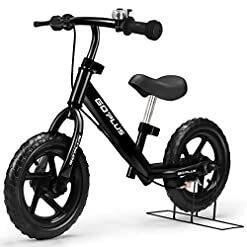 ULTRA-LIGHT BALANCE BIKE – Weighing just around 8lbs, goplus balance bike delivers effortless control & builds confidence in the smallest riders, no matter what terrain they choose to ride. 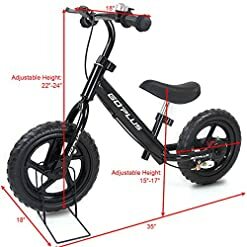 It will be one of the rare vehicle that your kids can lift by themselves. 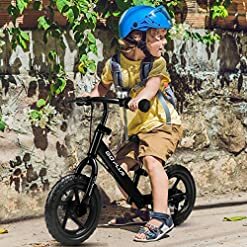 ADJUSTABLE HANDLE BARS & SEAT HEIGHT – Adjust the handlebar(22″-25″) and seat( 16″-18.5″) to your kids’ preferable height to meet their different requirements on the process of growing up. Suitable for kids from 2-6 years old. 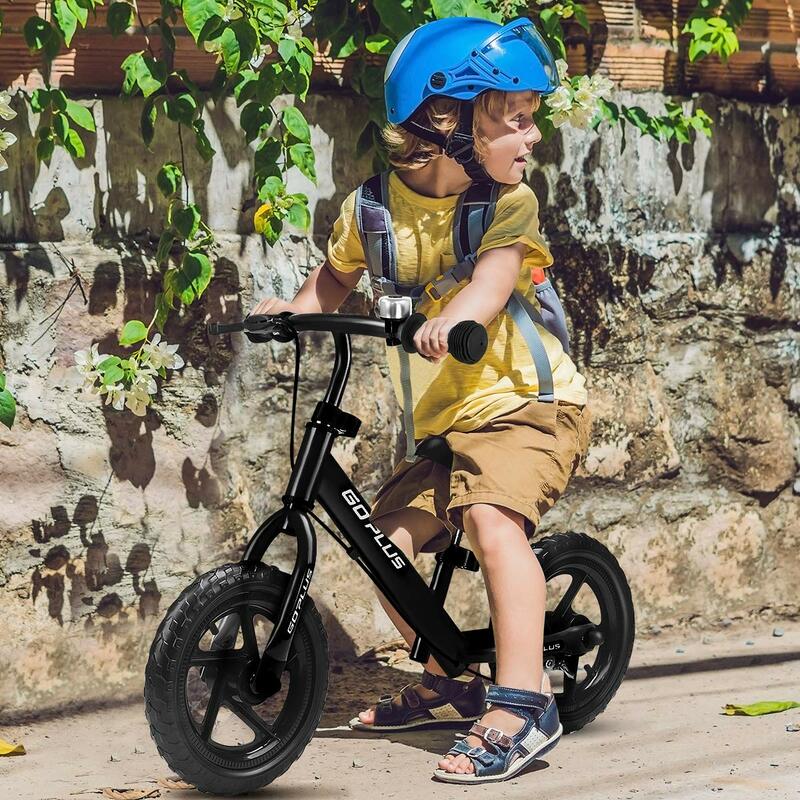 SWEET DETAILS DESIGN – 1. 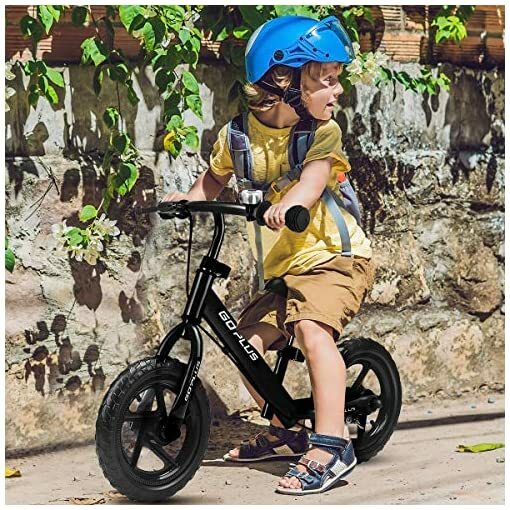 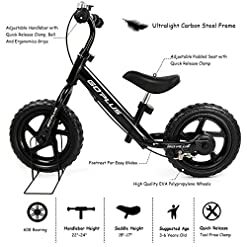 Non-slip handles for better controlling; 2. the shape of seat is well-designed which ensures that your children will not slip off when riding downhill; 3. the whole balance bike is welded smoothly without edges for securely riding for babies; 4. Equipped with a bell ring & brake; 5. Both the front and back wheels are equipped with a fender for the avoidance of mud when you baby is riding! Our Brand New child balancing car with brake and bell is made from high quality PP, EVA and iron. It is for 3-6 years old kids to exercise balance. The wheels can slide smoothly and quietly. 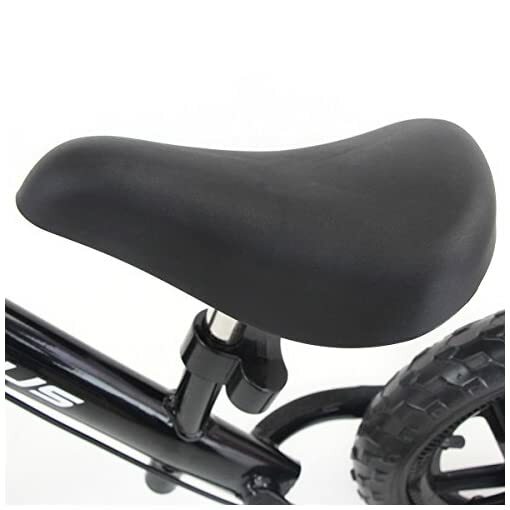 The saddle can be adjusted from 15.7″ to 18.5″, and the handle bar can be adjusted from 22″ to 24.8″ when your kid grows. 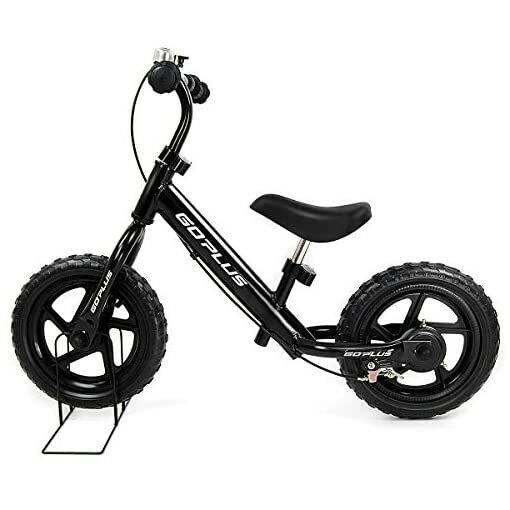 Besides, it is convenient to take out and will let children experience the fun of sports. 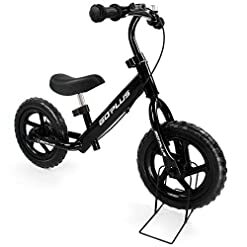 Don’t be hesitated to buy one! FOLDING STAND – A portable bike stand ensures the bike always has a “home”. 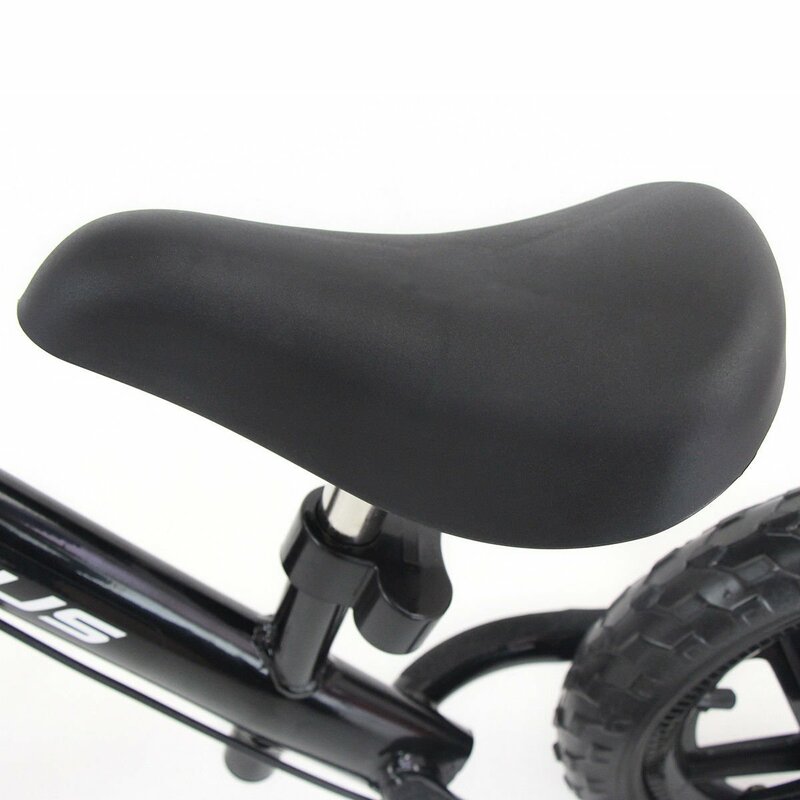 This helps teach kids to care for their bike and minimizes damages. GREAT GIFT FOR KIDS – Skip tricycles and training wheels. 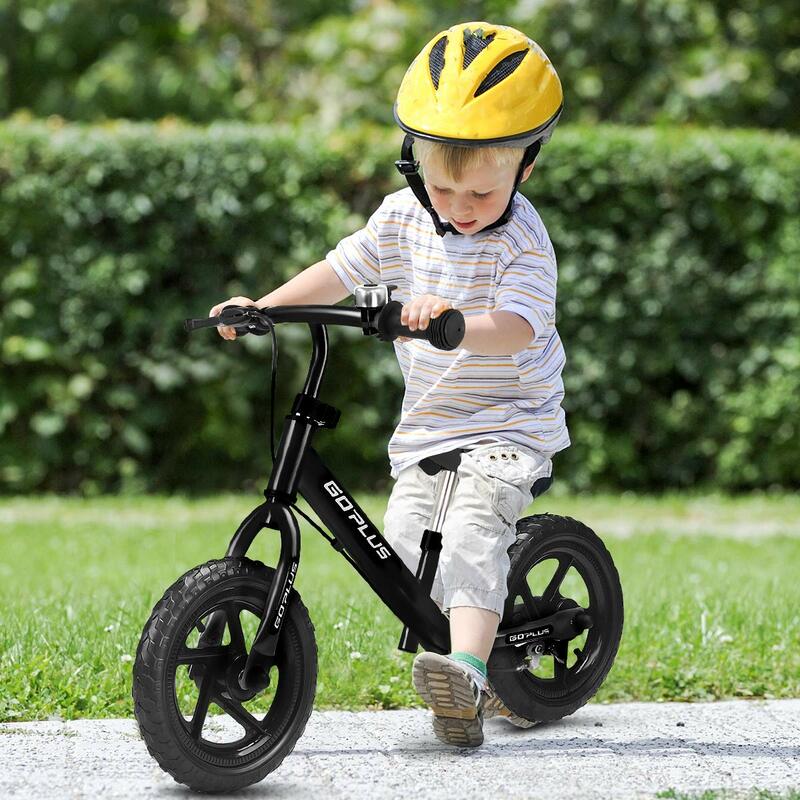 On a no-pedal balance bike, your kids can LEARN TO BALANCE FIRST on two wheels. Pedaling on a traditional bike comes easy after learning. 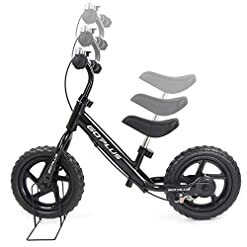 It will be a great gift for your babies!